Ultrasonic cutting uses a special blade called “sonotrode," which vibrates at a frequency between 20 and 30 kHz. This vibratory frequency is obtained from an ultrasound generator. As a result, the sonotrode acts like an alternating moving knife that repeats itself 20,000 times per second. The result is a significant reduction in the cutting effort and very low contamination of the product. This technology is therefore particularly suited for cutting fragile products. Ultrasonic Cutting equipments cleaner cuts and enhanced precision for applications formerly delegated to waterjet, laser cutting, hard tooling and manual trimming. This environmentally-friendly solution reduces operating costs, works within a small footprint, and is energy efficient, clean and eco-friendly. The high speed and low cutting forces make ultrasonic cutting ideal for non-metallic materials including plastics, foam, carpet, rubber, fiberglass-reinforced plastic and non-woven material. Assambled on the robotic cells are based on polyarticulated robots using a high frequency generator, or a simple blade. Currently under development at Electroimpact is a high clearance version of the modular cutting head. 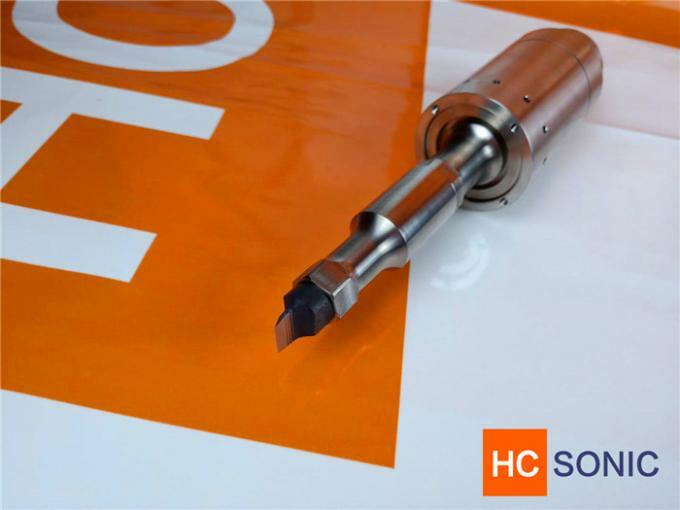 This head will have a smaller outer diameter and longer toolpoint length than the current Cut/Probe head offering. This will allow the head to make the very shallow angled cuts often required on complex aerostructures without interfering with the static tooling. The design goal is to operate between vertical and 30o from horizontal. 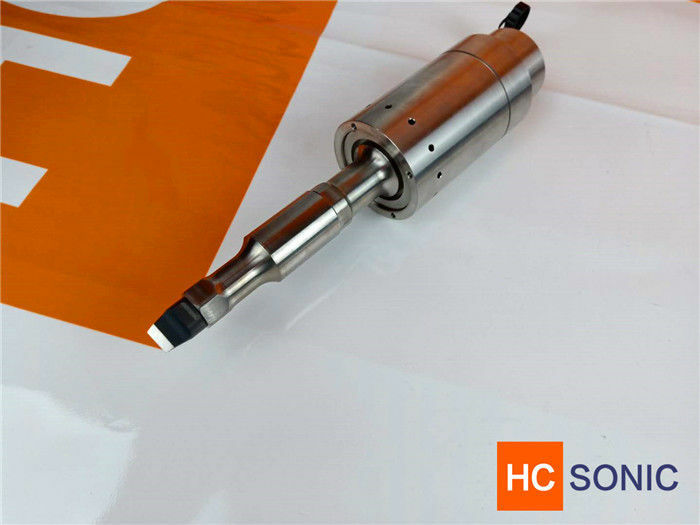 As with Electroimpact’s other modular heads, the high clearance ultrasonic cutting head will utilize quick change technology and will carry the ultrasonic generator and related components on board.